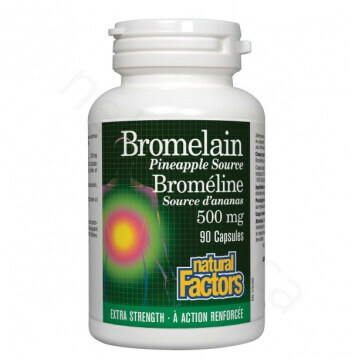 Natural Factors Extra Strength Bromelain capsules contain the highest amount of enzyme activity per capsule. Bromelain is a proteolytic enzyme that breaks down proteins into various amino acids during digestion. 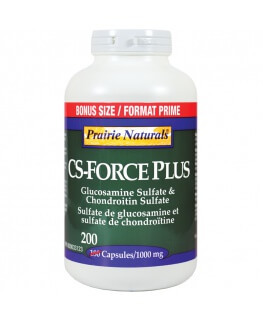 It also has superior anti-inflammatory properties, and plays a role in allergy control. Bromelain is designed by nature to support proper gastrointestinal function and may also help to promote the comfort of muscles and joints. Bromelain is a proteolytic enzyme that breaks down proteins into various amino acids during digestion. It also has anti-inflammatory properties, plays a role in allergy control and has antibiotic activity. It may even play a role in weight reduction. Bromelain is isolated and concentrated from the stem of the pineapple plant. Its enzyme activity is measured in two standard ways: GDU (gelatin digesting units) and MCU (milk clotting units). The measurement of activity is based on how much one gram of the enzyme will digest. The higher the number of GDUs and MCUs, the greater the enzyme activity. 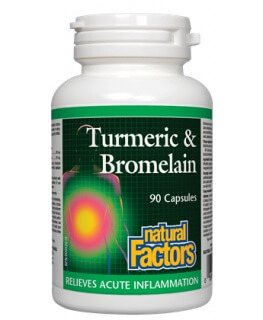 Natural Factors Extra Strength Bromelain capsules contain the highest amount of enzyme activity per capsule. Each gram of extra strength bromelain contains 1000 GDU equivalent to 1500 MCU of enzyme activity, having superior support for healthy digestion. Each gram of Extra Strength Bromelain contains 1000 GDU (Gelatin Digesting Units) equivalent to 1500 MCU (Milk Clotting Units) of enzyme activity. Gelatin capsule (gelatin, purified water), vegetable grade magnesium stearate (lubricant). 1 capsule daily, taken at mealtimes, or as directed by a health care practitioner. For prolonged use, consult a health care practitioner.